Once in a lifetime opportunity to purchase a commercial property of such magnitude. 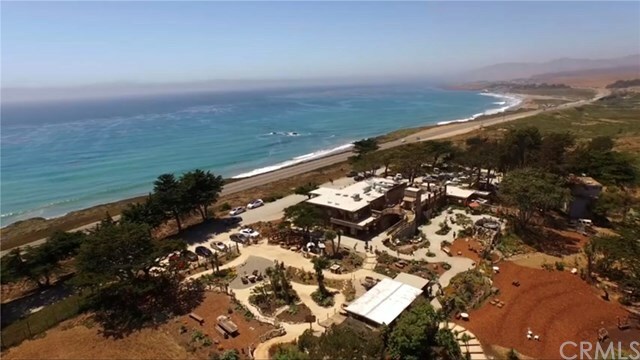 Virtually oceanfront on 3 acres, completely renovated with over 12 million spent in improvements. This property consists of four free standing structures. The restaurant, (doing business as Centrally Grown) with two kitchens, one on each floor- currently used a restaurant above- downstairs ideal for a grocery store or gift shop or could be additional space for dining. The commercial kitchens were professionally designed with no expense spared. There is an elevator for handicap access and an enormous deck for entertaining or enjoying the scenery overlooking the ocean and beautiful grounds. The residence is utilized as a bed and breakfast/ vacation rental. It is nicely appointed with 3 bedrooms, 3 baths and a two car attached garage. There is also a free standing retail shop and a two car garage plus storage. One of the few properties zoned commercial recreational creating ample opportunity for additional improvements and uses. This iconic location hosts weddings, special events and concerts. The parking lot has 20 parking spaces with three additional handicap spaces. Over 18 E.D.U's of commercial water. Listed below recent appraised price.